The NSS team carried out discharge operations around the clock last weekend when the MV Industrial Swift arrived at Port of Mackay carrying 2600 tonnes of rail line. Unloading for the Mackay portion of cargo (about 2000 tonnes) was completed on Monday. The balance of cargo was destined for Newcastle. "The rail line presented in various lengths, with the largest coming in at over 27m," NSS commercial manager Mitchell Smith said. 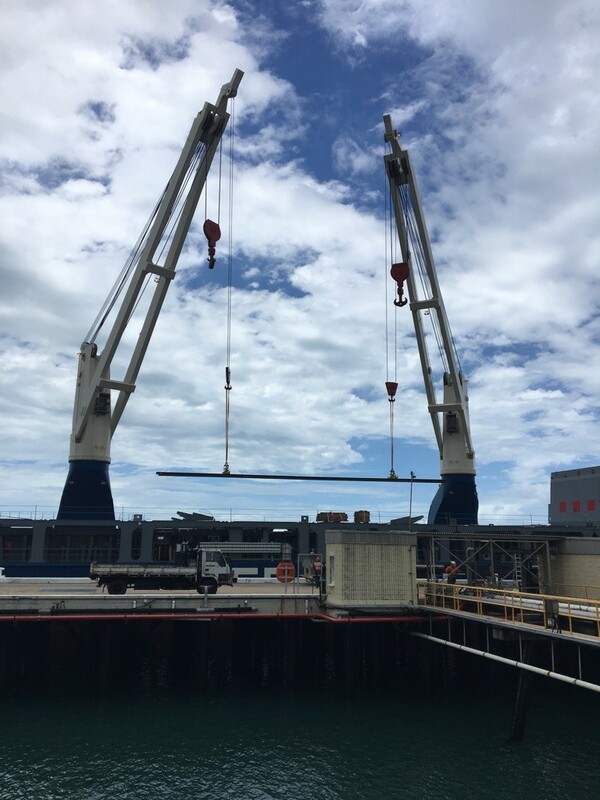 "In order to handle the larger pieces and ensure stability whilst unloading, the vessel’s cranes were operated in tandem to provide full control of the cargo."